Easy Global Courier Co.,Ltd. ::Professional international logistics service provider! 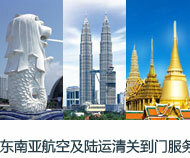 Shanghai yuntai international was founded in 2006 by senior logistics companies in Japan and Hong Kong. At present, we have Shanghai head office, suzhou branch, yiwu branch and high-speed rail transit yiwu operation department. Main international express, international air transport, international shipping and high-speed rail service! In 2006, we began to expand the international aviation logistics special line, opening the Japan special line, the Vietnam special line, the myanmar special line, the Cambodian special line and the Thailand special line. In 2012, we began to lay out the cross-border e-commerce logistics line, opening the us airfreight special line, the us Marine special line, the European air freight line, the European maritime special line and the South African special line. 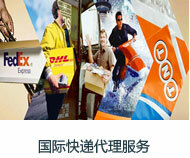 Copyright @ 2010-2020 Shanghai Easy Global Courier Co.,Ltd. All rights reserved.